SmartBuyGlasses is a market leader in the online eyewear industry in the US, and we operate in over 30 countries worldwide with our markets covering Asia Pacific, Europe and the Americas. We re proud to offer a huge range of over 70.000 products from a selection of 180 different brands; including big names such as Ray-Ban, Oakley and Maui Jim. Our US domain receives around 350,000 visitors each month, and we maintain a database of over 90,000 contacts in the US alone. 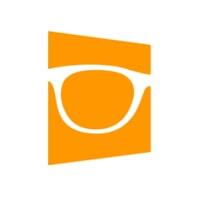 Since 2006, SmartBuyGlasses has been dedicated to offering our customers the world s largest range of designer eyewear. The optical group is committed to delivering on price and quality, and upholding the high standards of the world s best known designer eyewear brands. We are invested in helping our customers express their individuality. We want you to find what you love. Last Updated: Jul 18, 2018 Listing Expires: Thu Jul 18 07:19:59 2019 This listing has been viewed 559 times.